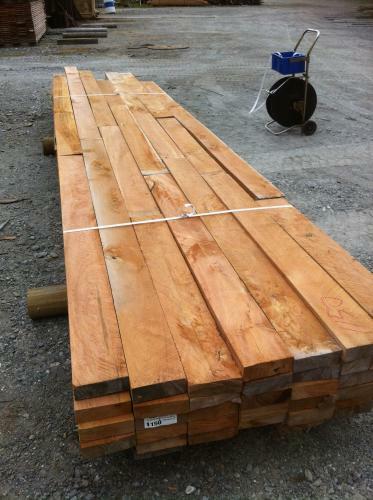 Dry Heart Totara clears 100*50 1.391 m3 Ready to use. Small pack of heart totara clears. 100*50. Air dried for 36 months, now MC approx 16% See this link here to the detailed tally sheet: 1149 tot Helicopter harvested from sustainably managed forest. 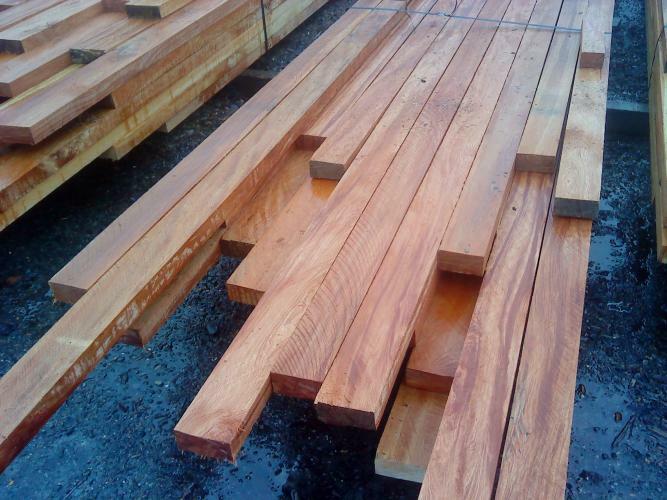 Dry Totara DB Feature 150*50 Ready to use! DB Feature grade which includes small defects such as knots and small bark pockets. Ideal packet for feature joinery or furniture. Total volume 1.438 m3. This pack has been air drying for 12 months and has been measured at approx 17% moisture content. 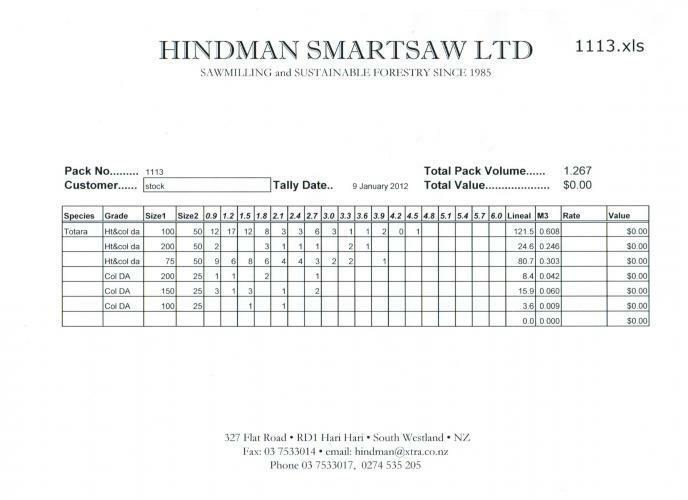 Air dry Totara, MC 18% average. Colour clears grade. (mixture of heart and sapwood clears.) 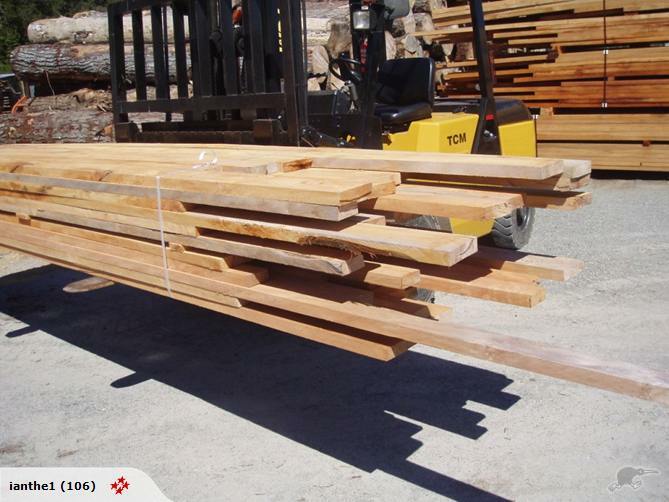 ideal for feature joinery or furniture. Just been defilleted and ready to go. Total volume 1.267 m3. Mostly 100*50 and 75*50. Check out pictures here of different layers in this pack, along with a detailed tally sheet. Totara Clean Heart 100*50 Green sawn. 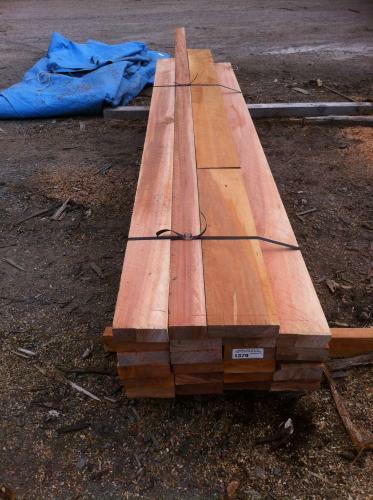 Totara Colour Clears 150*50 Green Sawn. This pack has been sold! Please enquire about new stock of this product. 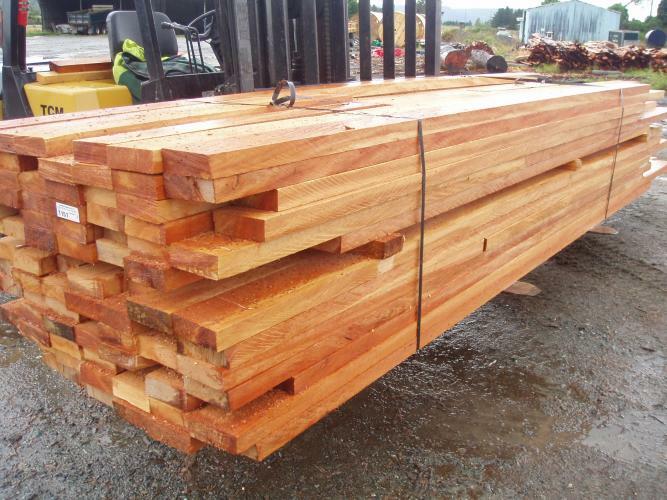 Green sawn packet of rimu commons, mostly 150*40, some 100*40. Good for all sorts of utility uses, or can be resawn for better timber. Total pack volume approx 3.1 m3. Really cheap here at just $240 plus gst per m3. A lot cheaper than pine boxing. This packet has been SOLD!! 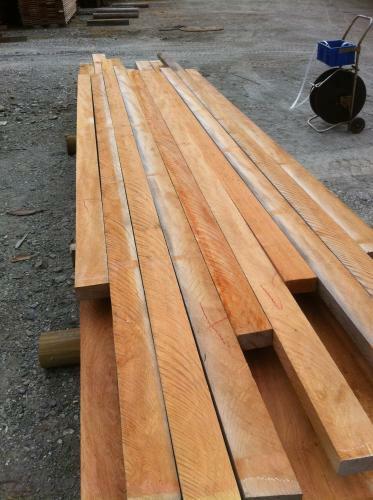 Nicely air dried timber here, ready to use. Ideal for some feature joinery or furniture.